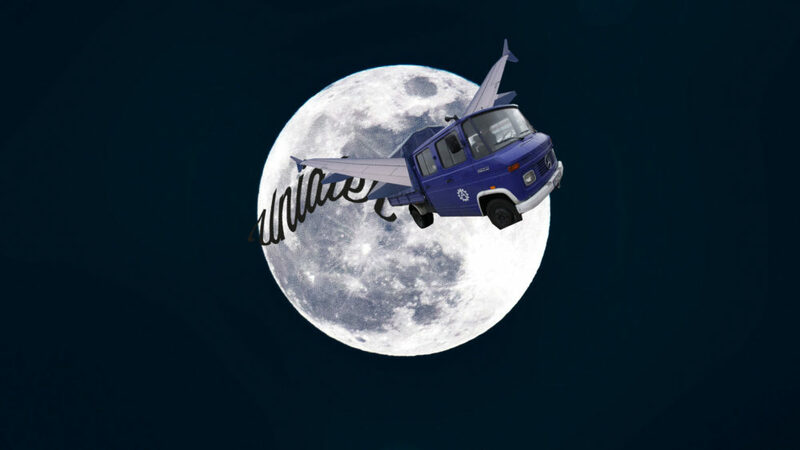 After the ARTbridge Ensemble was a guest in Potsdam from October 28th to November 3rd 2017, the Uniater Ensemble will now fly out for a return visit: From April 6th to 13th 2018 Uniater will be in Tbilisi, Georgia, to perform their new production #netscape. On October 28th at 7:30pm, ARTbridge celebrated the premiere of its new piece “Ma’at” in the Upper Mensa of the Neues Palais. Ma’at is the Egyptian deity responsible for the order of the universe from the moment of its creation to chaos. In the style of physical theatre, ARTbridge deals with the chaos and emotions of one’s own life. 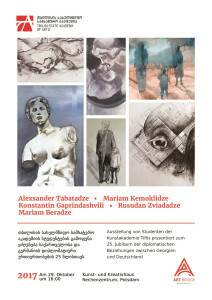 The vernissage of ARTbridge took place in the foyer of the Rechenzentrum on October 29th at 4 pm. Pictures, graphics and costumes of the Georgian students were on display until November 2nd. Of course, the vernissage also offered the opportunity to talk to the young artists. 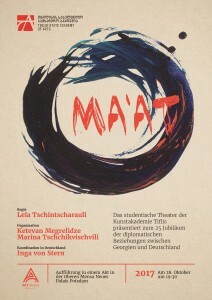 During the one-week intercultural exchange between Uniater and ARTbridge, a bridge was built between German and Georgian theatre and cultural work. An open theatre workshop on various acting and improvisation techniques took place on November 1st from 10:30am to 1pm in the Casino of the FH Potsdam.